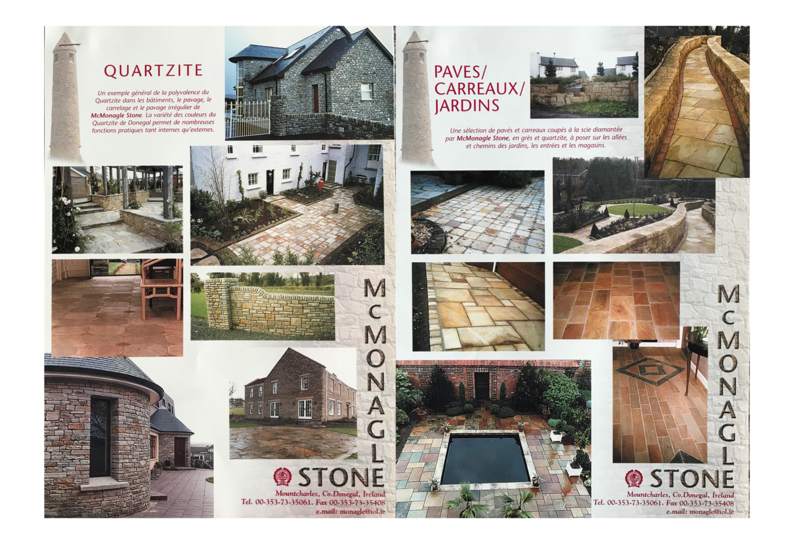 Associated with natural stone for over 40 years, the McMonagle Stone family and team are experts on all things natural stone. Learn more about our company story here. 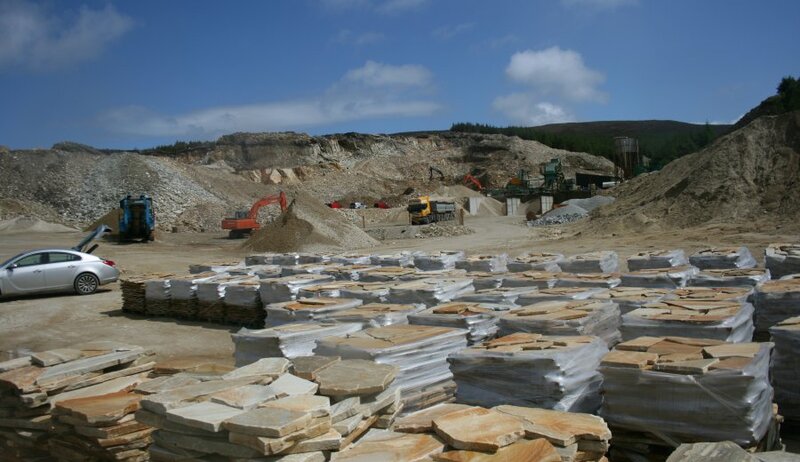 For over 40 years and 3 generations, our family managed business has been delivering unique cuts of stone from the 4 quarries we operate in the South West of Co. Donegal, Ireland. 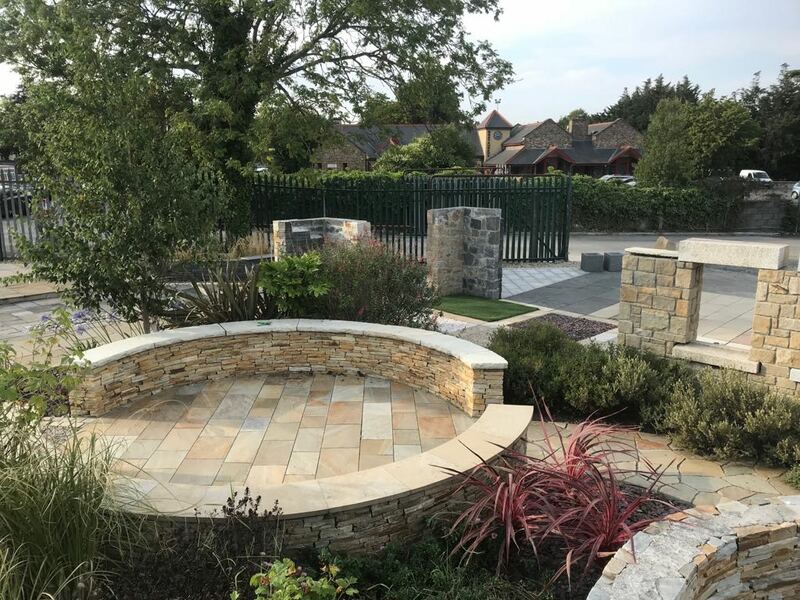 Catering for both domestic and export markets, McMonagle Stone has grown from a small part time business to a leading manufacturer and supplier of natural stone building and landscaping materials as the world has discovered the properties of the high-quality product range we quarry and supply. 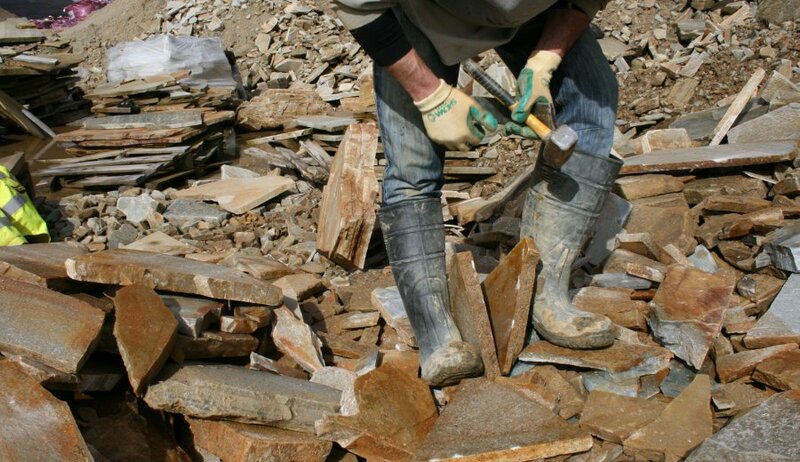 Through determination, discipline and a passion for the industry, Dan McMonagle manually began quarrying stone with axes and crowbars in the old sandstone quarry on the family farm lands in 1974. 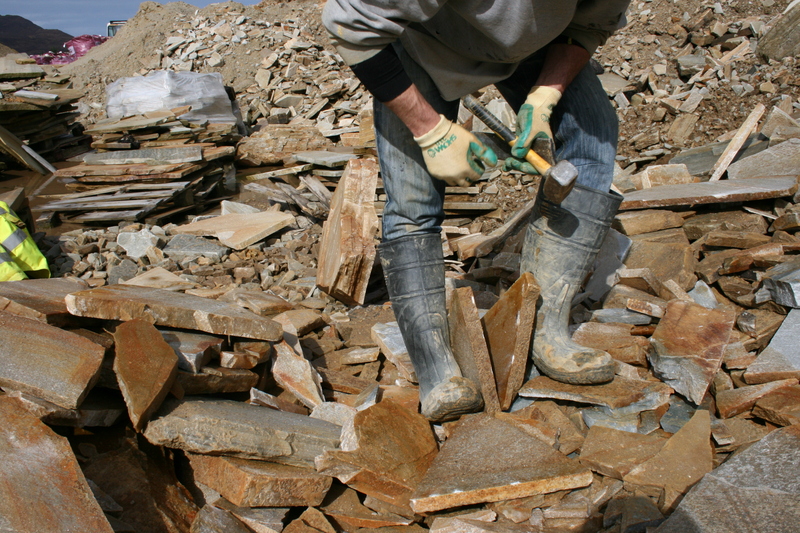 With the family farm taking priority, Dan’s work in the quarry started off part-time. 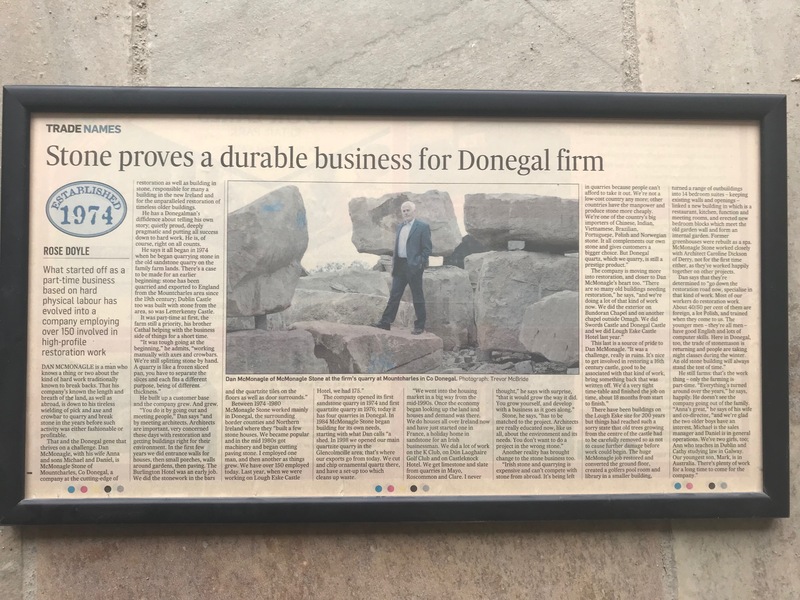 In 1976, Dan opened the first Donegal Quartzite quarry and with support from his wife Anna and brother Cathal, he worked mainly in Donegal and border counties. Dan built up a customer base by going out and traditionally meeting people face to face which was key to his success in the early years. 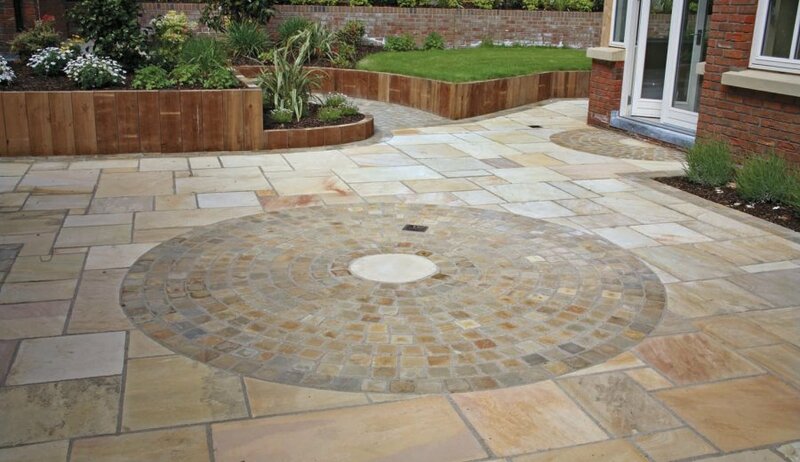 In the first few years Dan secured domestic jobs such as boundary walls, porches and paving. 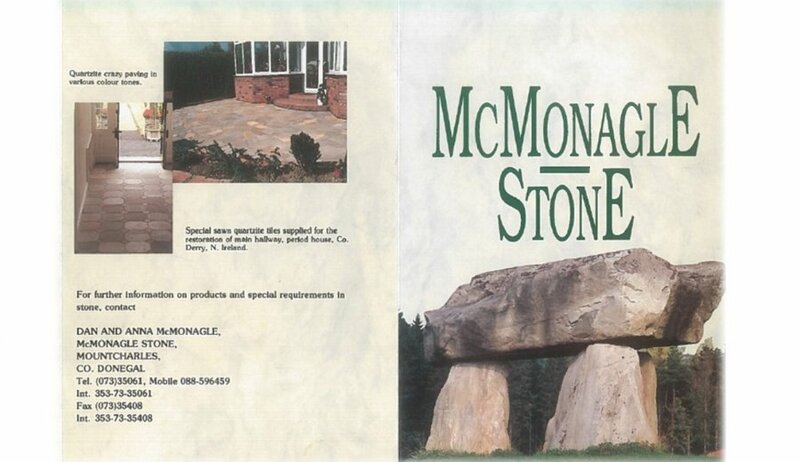 In 1988, McMonagle Stone was established, employing approximately 7 people in its new head office building in Mountcharles, Co. Donegal. 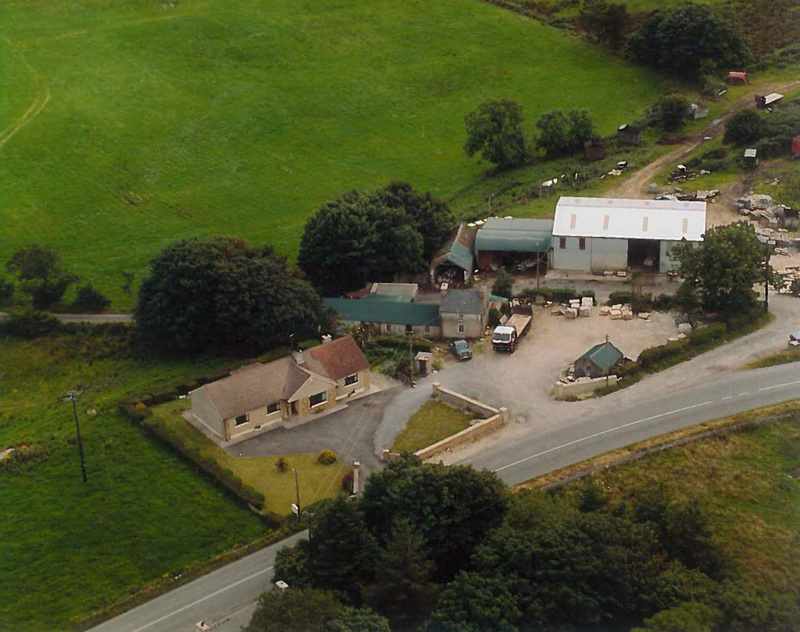 Dan’s eldest son Michael joined the family business in 1994. 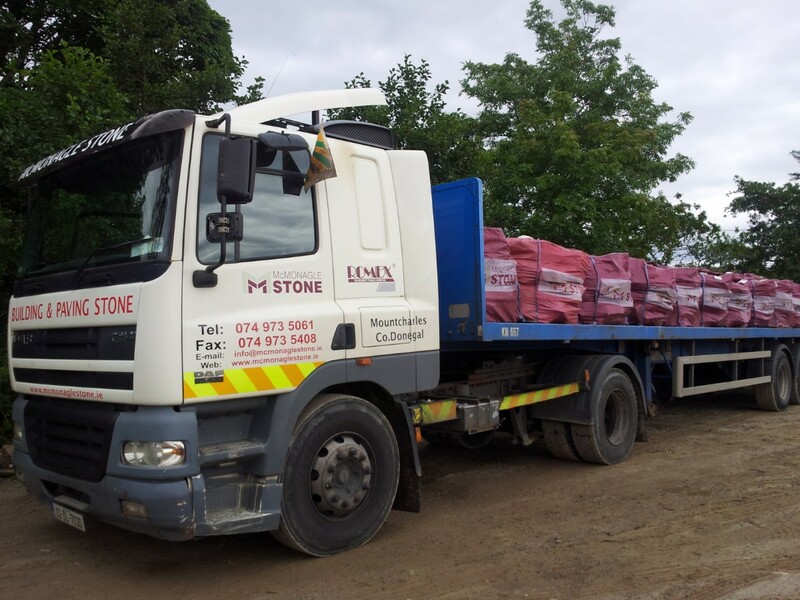 Starting off in general operations, Michael gained considerable experience and technical knowledge and gradually moved into sales, initially representing McMonagle Stone in the UK. At this time the company had one articulated lorry supporting deliveries throughout Ireland. Learn more about our delivery services here. 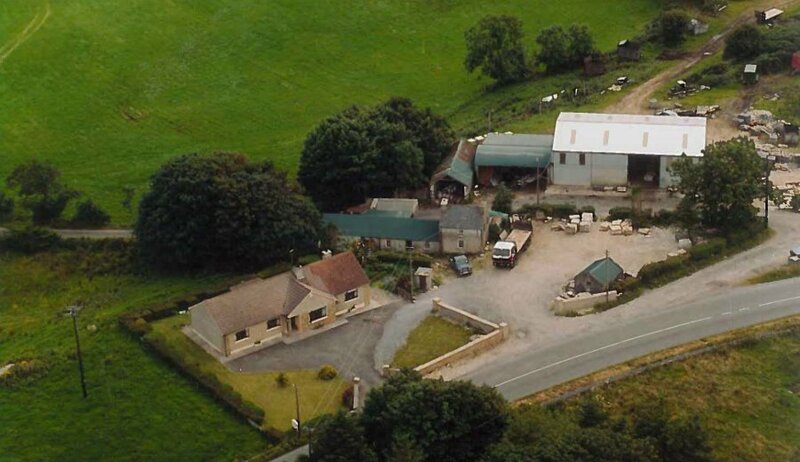 In the mid 1990’s the economy was improving and there was an increase in demand for new houses all over Ireland. 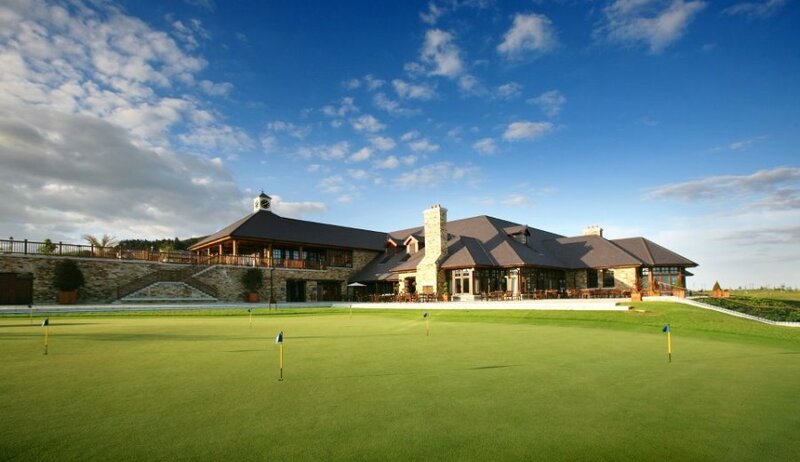 McMonagle Stone was also involved in many established projects such as The K Club, Ireland’s first AA five red star hotel, Dún Laoghaire Golf Club, Castleknock Hotel (as seen here) and the Center Park villages to name but a few. 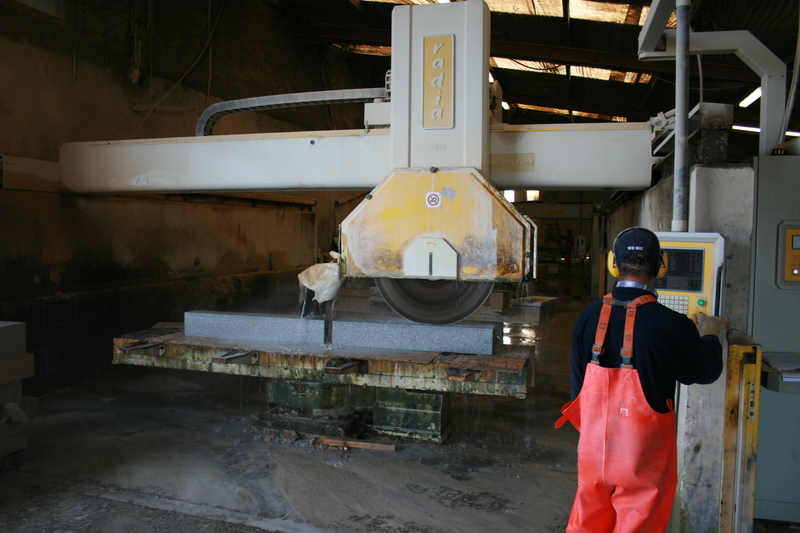 In 1997 our secondary sawing process was enhanced with the introduction of a new GMM Saw performing complex profiling and sawing. 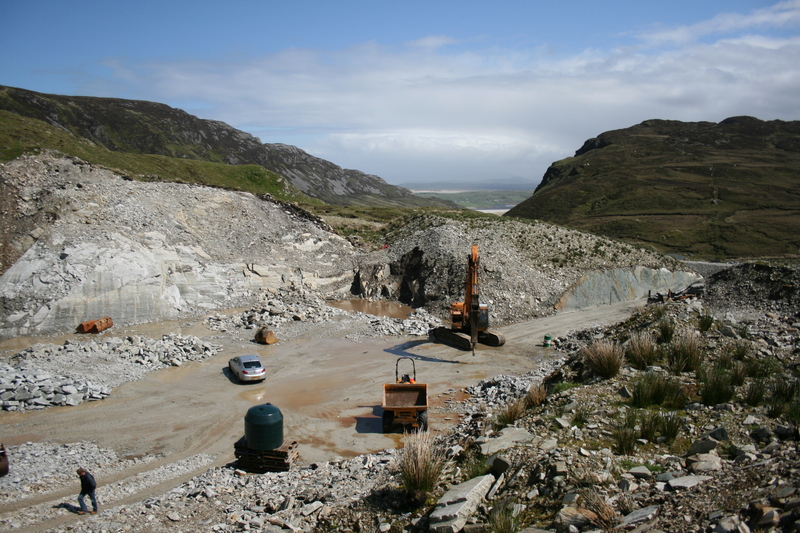 In 1998, McMonagle Stone opened the main Gold Donegal Quartzite quarry in Glencolmcille, Co. Donegal. 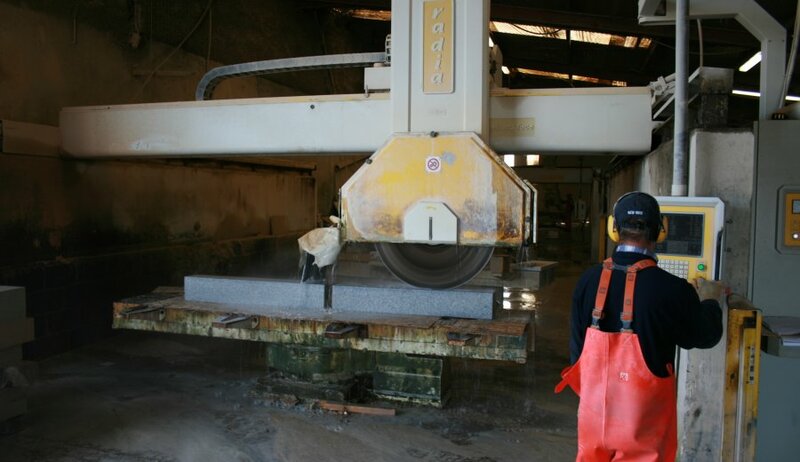 Here we cut and chip ornamental quartzite for our exports customers. 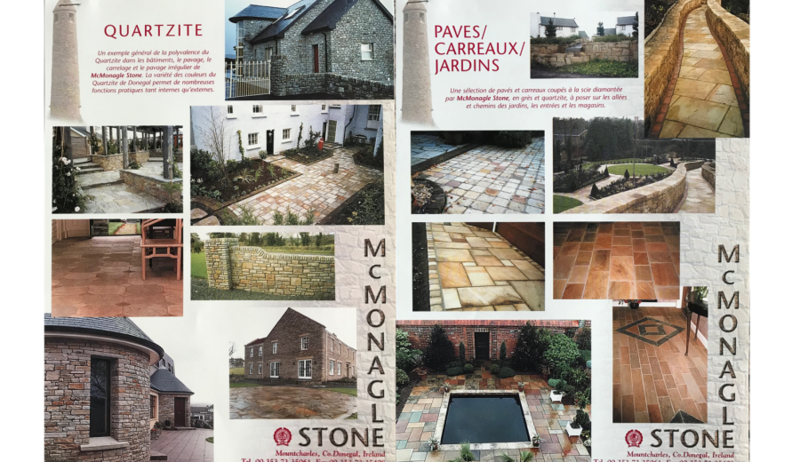 In 1999, McMonagle Stone was the first natural stone supplier to introduce imported indian sandstone materials to the Irish Market. 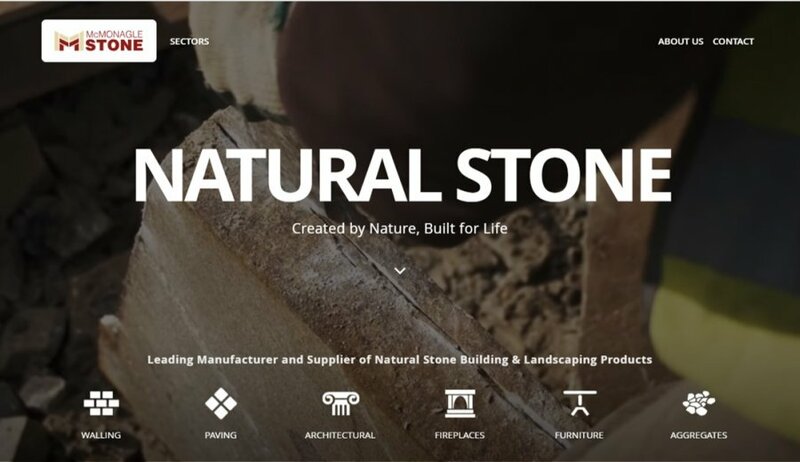 Today we are still one of the largest natural stone importers sourcing a broad range of landscape and building products from our trusted suppliers in China, India, Germany, Spain, Portugal and Poland. 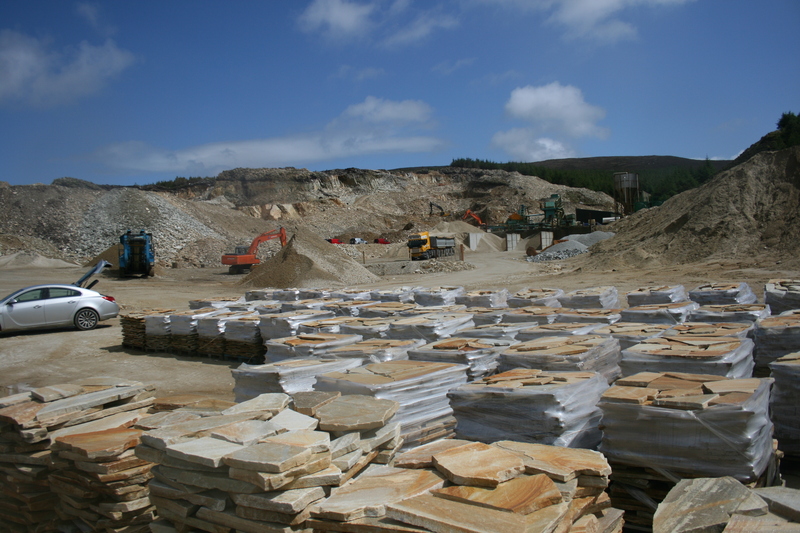 Following the acquisition of Celtic Quartzite in 2001, McMonagle Stone started exporting Donegal Quartzite to France. Read more to view our export product ranges. 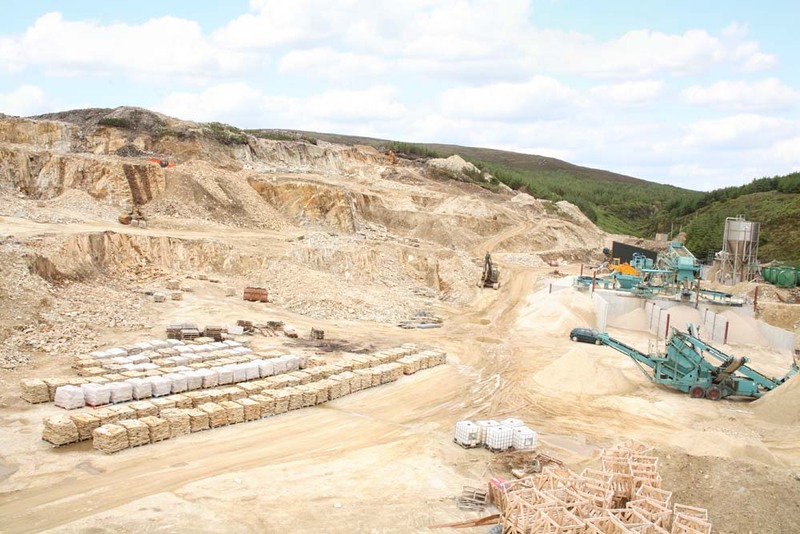 During the boom, McMonagle Stone saw a rapid increase in sales and by 2006 the company employed nearly 200 people across its quarries, production facility and offices. 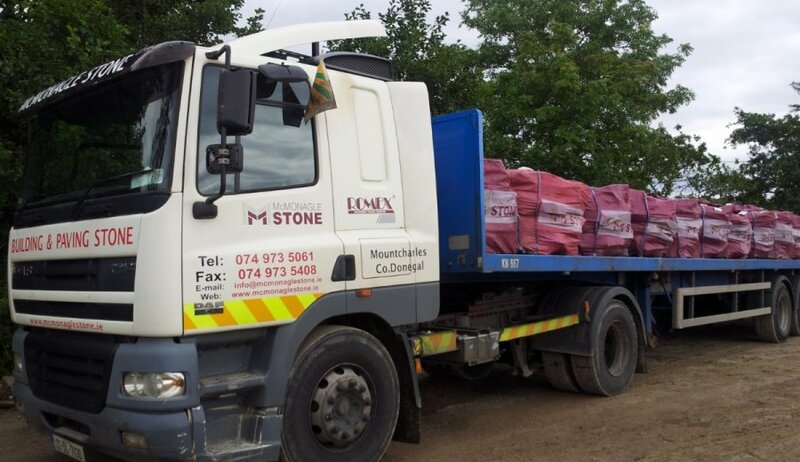 To further support this growth, McMonagle Stone moved its depot from Sherriff Street to a bigger location in Ashbourne County Dublin to assist in the management of approximately 50 - 56 containers per week. 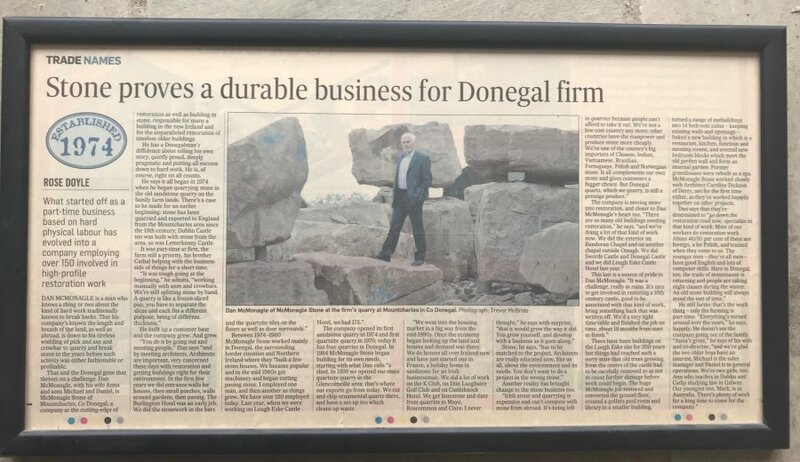 Dan’s second eldest son Daniel, a qualified quantity surveyor joined the company as Operations Manager in 2007 and for the next 7 years McMonagle Stone moved further into restoration and supply and fit work securing notable projects such as Bundoran Chapel, Swords Castle and Donegal Castle. 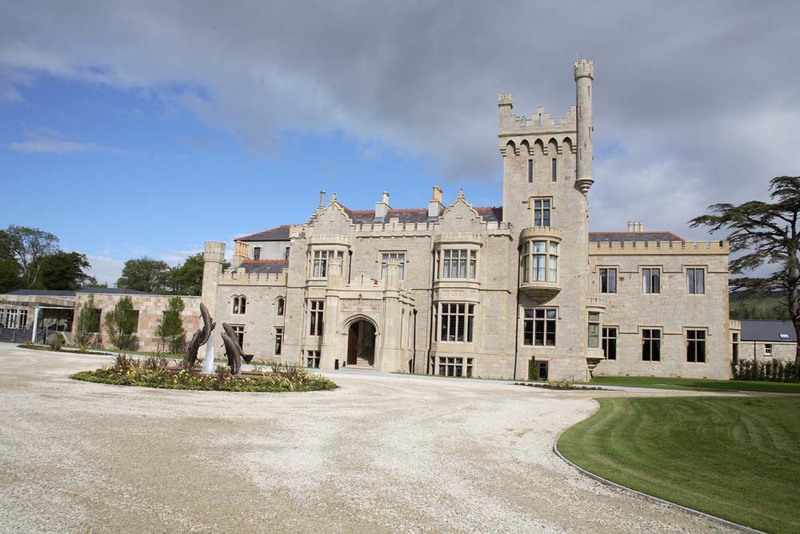 Restoration projects were close to Dan’s heart and the company was delighted when the opportunity arose to restore the prestigious 16th century Lough Eske Castle. 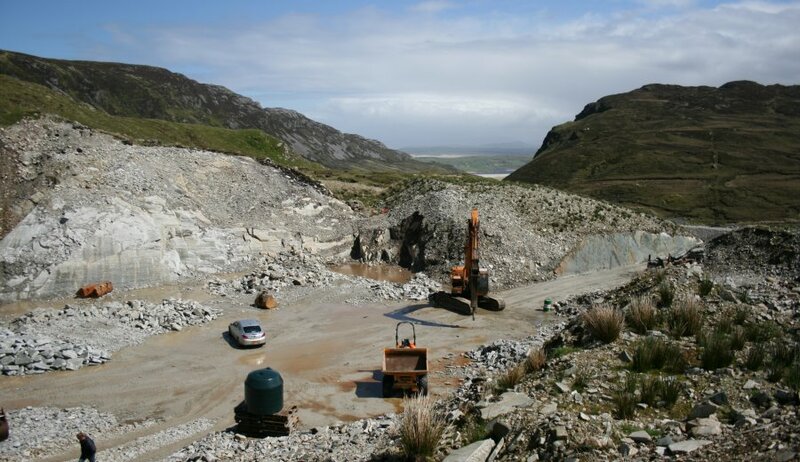 Formerly operated by Morrow Stone, McMonagle Stone took over the Silver Quartzite quarry in Ardara, Co. Donegal and fully restored the quarry to full production capacity, securing local employment and continuing the supply of Silver Quartzite to both national and international markets. This was a sound investment for the company, which demonstrated our commitment to the future growth of the industry and economy in the region. 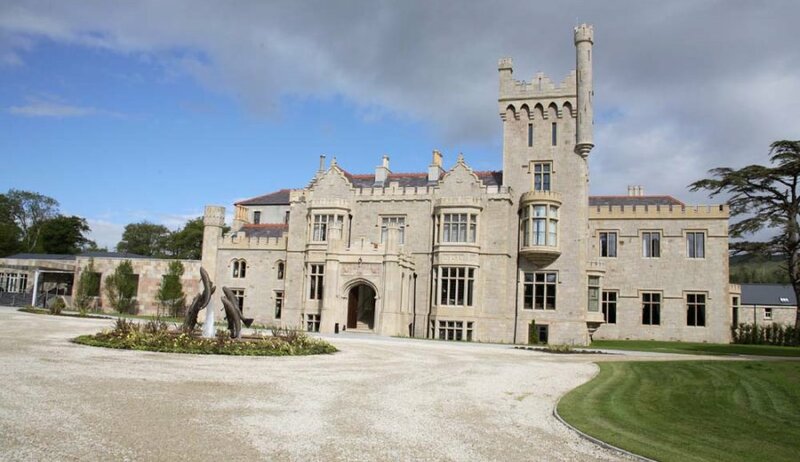 In 2014, the company moved its depot from Ashbourne to Swords. The new location saw an increase in footfall and was much more convenient for our trade customers to drop by and collect materials. 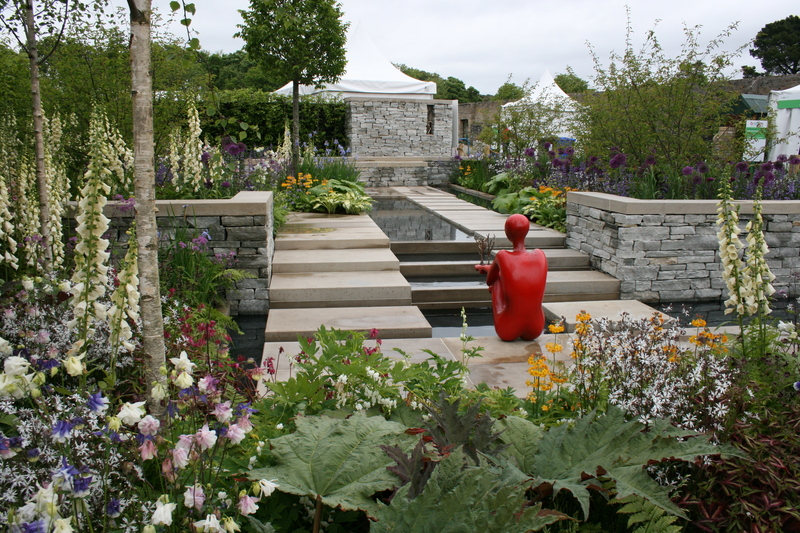 Read more to view our display areas. 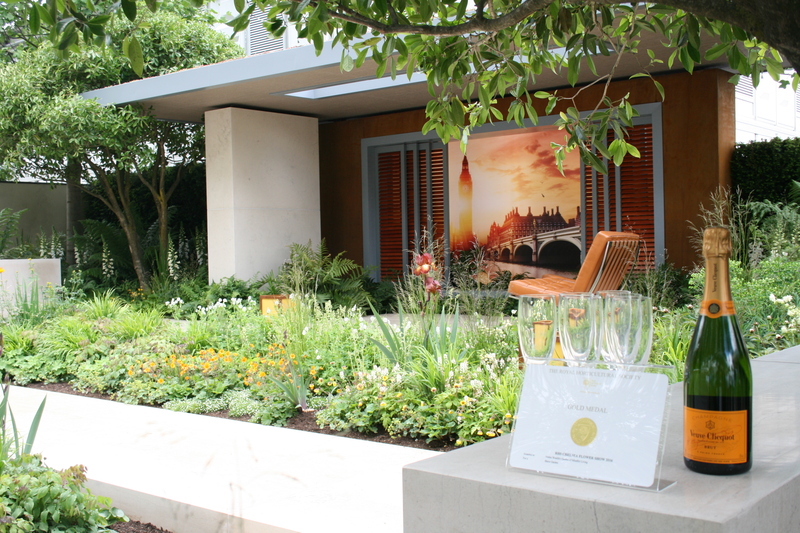 McMonagle Stone was proud to supply our Mountcharles Sandstone for Jane McCorkell’s award winning design at Bloom 2015. 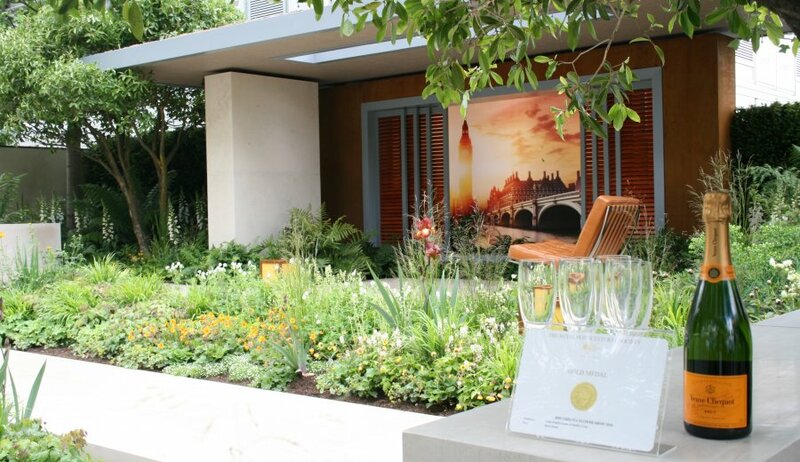 Winning Gold and Best in Show, the concept for the design was "Our Origin is Green". 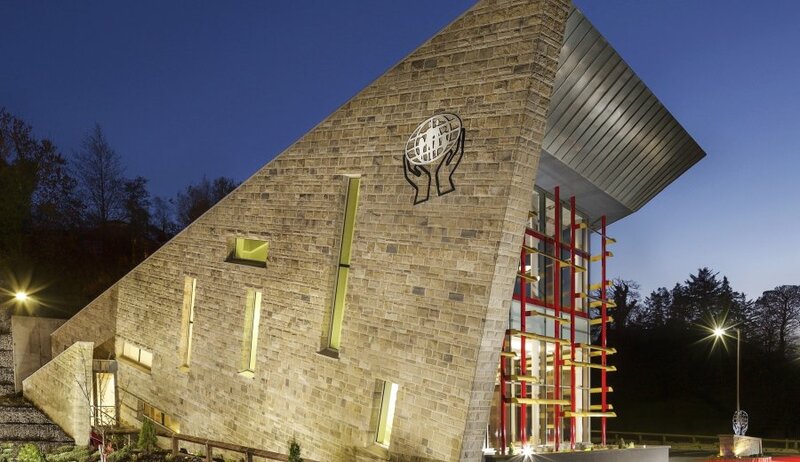 While using Mountcharles Sandstone throughout the design, other stone used by Jane was our Silver Donegal Quartzite. 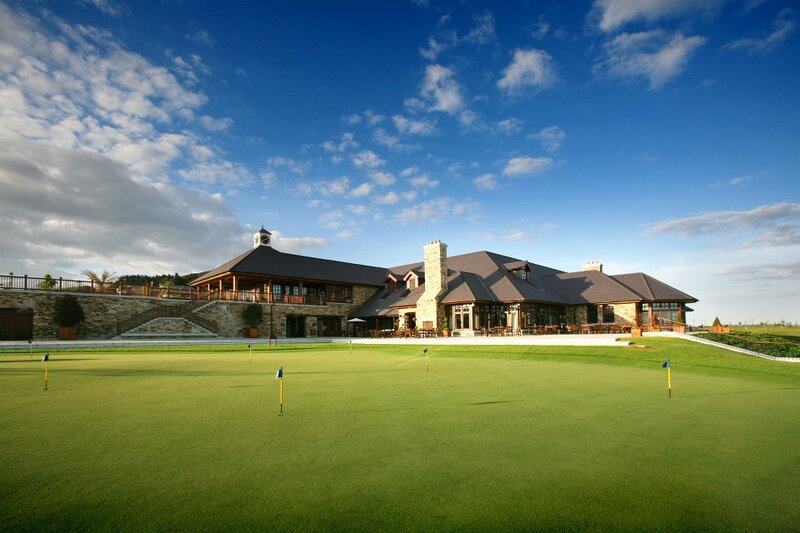 Every two years the Natural Stone Awards is presented by the Stone Federation Great Britain. 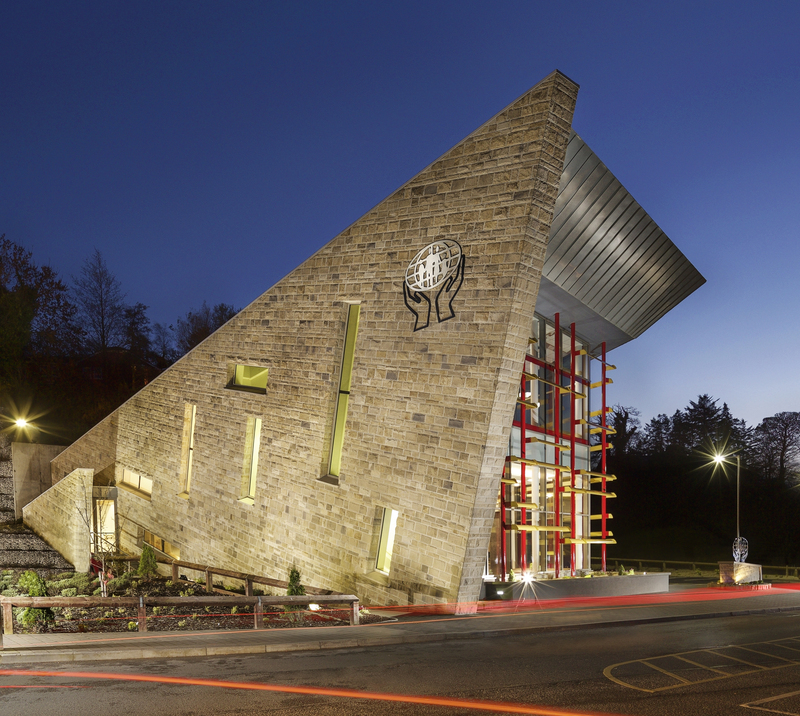 In partnership with McCabe Architects and Glebe Builders, McMonagle Stone picked up a commended award for the natural stonework carried out on the unique Donegal Town Credit Union. 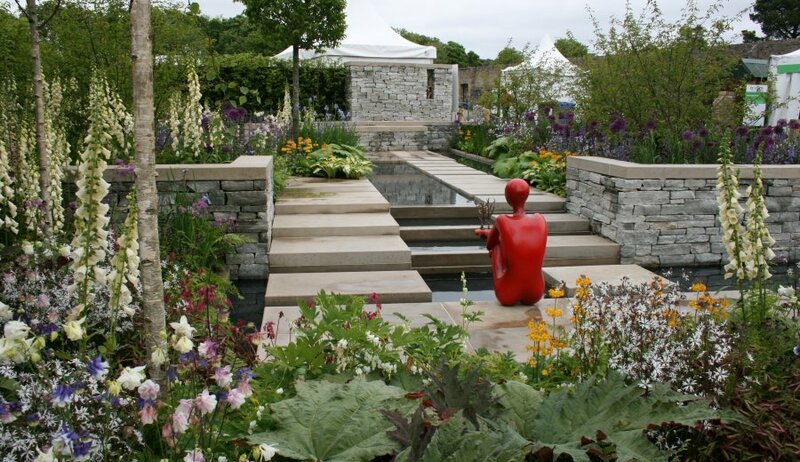 McMonagle Stone was the proud supplier and supporter of Irish Designer, Paul Martin who picked up a gold medal for his ‘mindfulness’ garden at the RHS Chelsea Flower Show 2016. 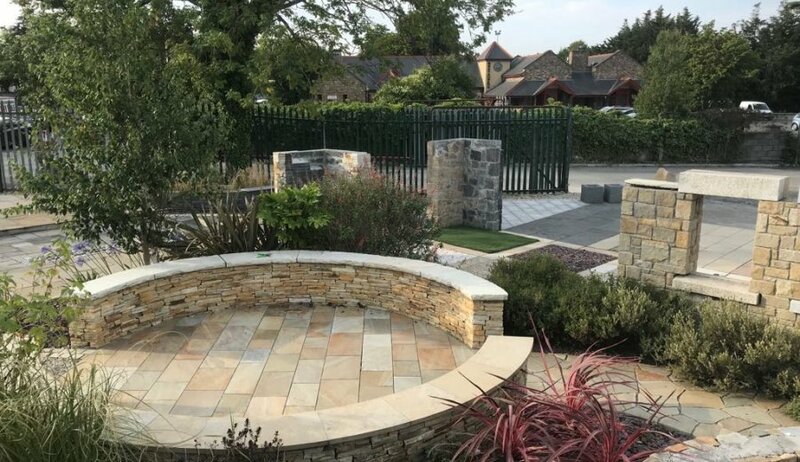 Sponsored by Vestra Wealth, the garden focuses on health and healing and can be described as a relaxing space to unwind and restore one’s life balance. 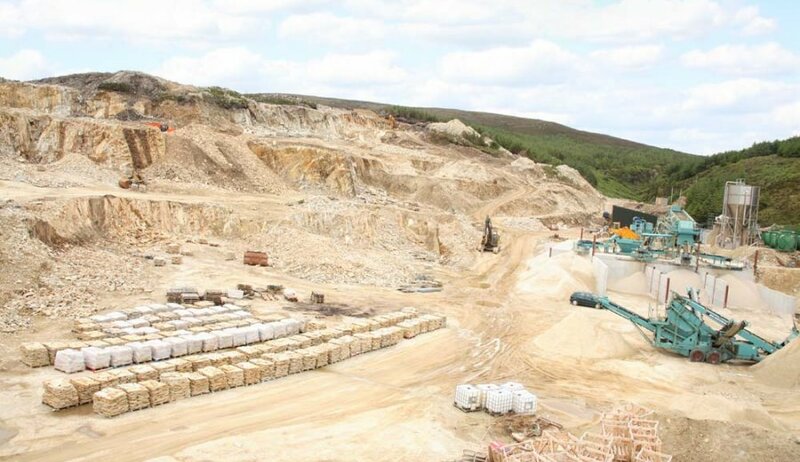 As a result of quarry closures in China and inflation in Brazil, McMonagle saw a rapid increase in demand for our Donegal Quartzite products. Exporting to Spain for the first time, 2017 proved to be the busiest year for exports. 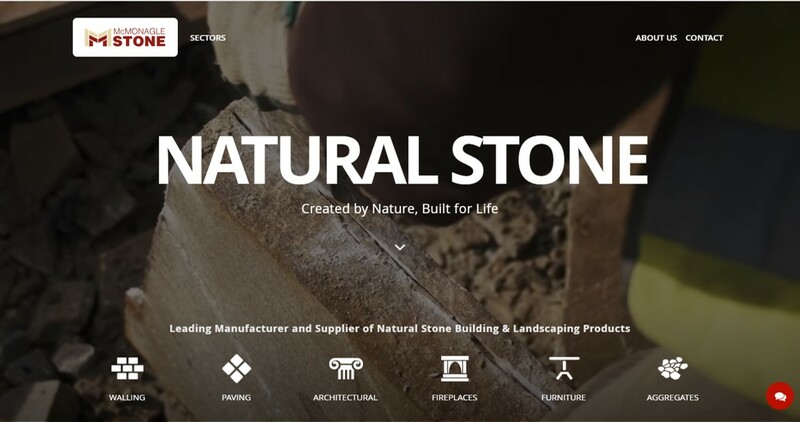 In October 2018, McMonagle Stone launched a brand new company website and online store, improving visitor experience and accessibility to product imagery and information. 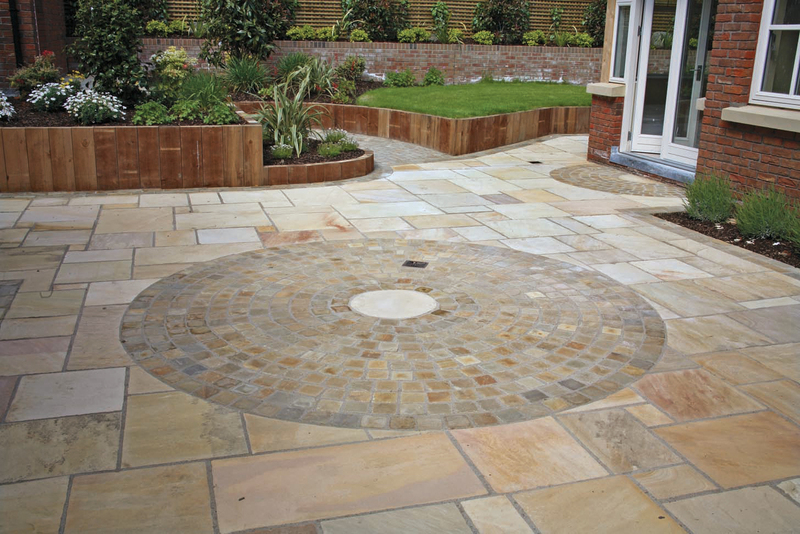 You can now browse our extensive product range, view past projects, get a quote, seek professional aftercare advice and even visualise our paving products in our online showroom. Read more to try it out. 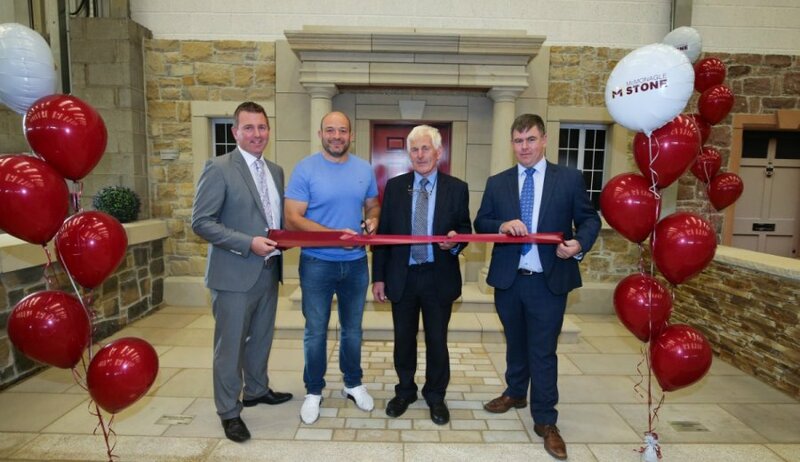 On Thursday, 16th August, McMonagle Stone celebrated the launch of their first showroom in Northern Ireland. 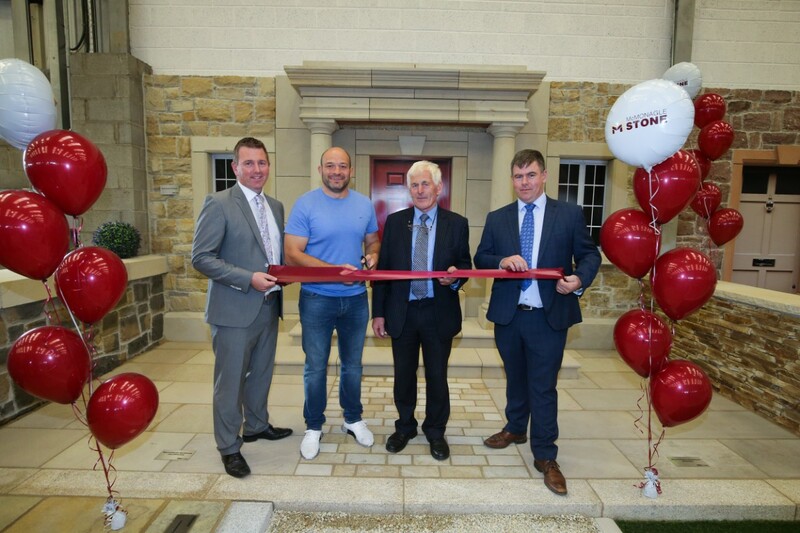 Based in lisburn, the new depot is the company's third location which adds significant capacity to our market presence, enabling us to respond to the increasing demand for natural stone in Northern Ireland. 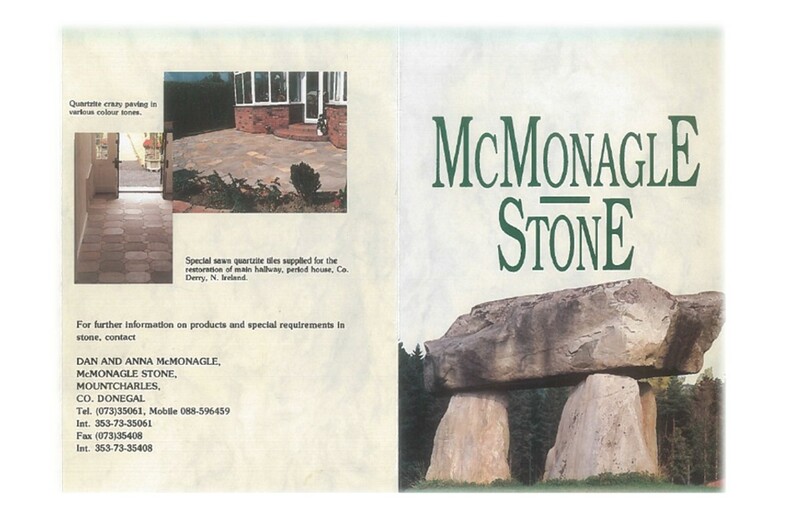 The move demonstrates McMonagle Stone's commitment in growing distribution and improving accessibility for our customers to visit and view our broad range of indigenous and imported products on display.